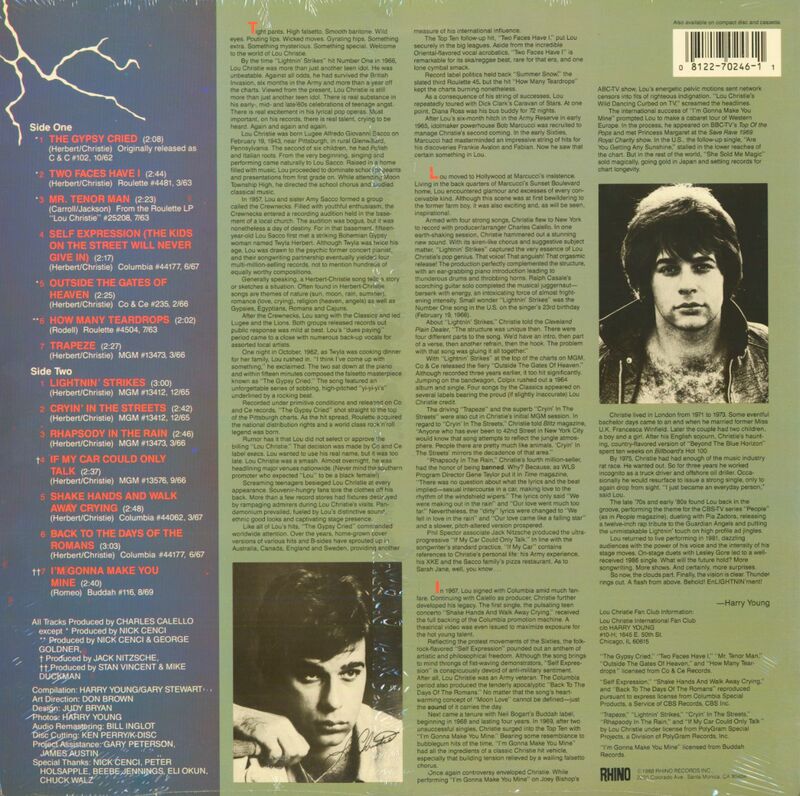 (1988/Rhino) 14 tracks, recorded 1962 to 1969! Rare 'Rhino' LP album! Originally sealed! Lou Christie was born Lugee Alfredo Giovanni Sacco on February 19, 1943 near Pittsburg in Glenwilland. First performing as Lou Sacco and later with his sister Amy as The Crewnecks, Lou's life changed when he met Twyla Herbert, an Gypsy concert pianist. Together they wrote The Gypsy Cried in 1962, which was the start of the career of Lou Christie. In the sixties Lou had several hits, including millionsellers like Rhapsody In The Rain and Lightning Strikes, but his major breaktrough came when he signed with the Buddah label in 1968. His first single I'm Gonna Make You Mine became a big hit all over the world, followed by Are You Getting Any Sunshine and She Sold Me Magic in 1969. In that year he toured Europe where his next singles Love Is Over (1970) and Indian Lady (1971) also became big hits. After his last big (country) hit in 1975 Blue Canadian Rocky Dream, Lou retired from the music business until! 1981. In the 80's he had a few small hits in the States and he is still touring with several oldies shows. This albums covers his period between 1968 and 1975 writing and producing with Twyla Herbert and Tony Romeo, to many people his best period. 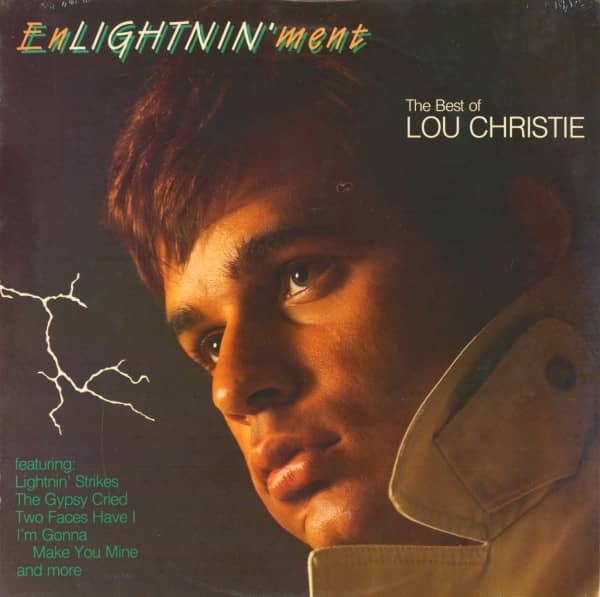 Customer evaluation for "En-Lightnin'-ment - The Best Of Lou Christie (LP)"